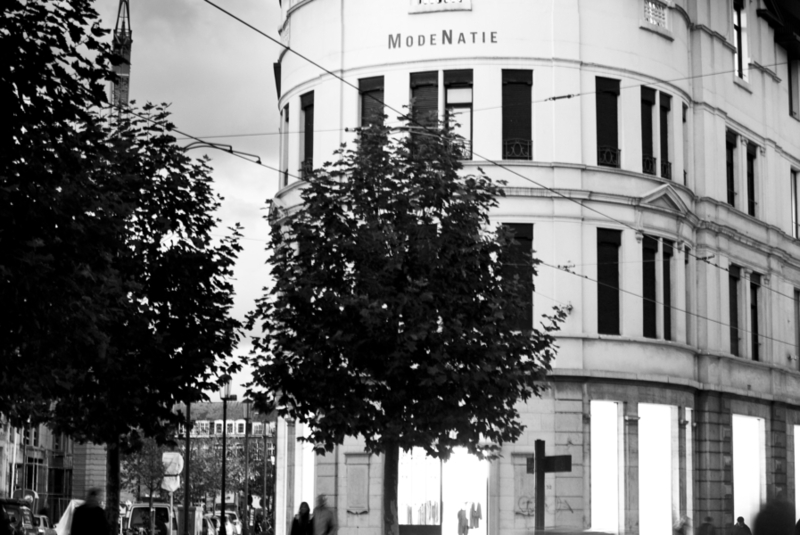 Antwerp’s Fashion Museum, the MoMu, is situated in the centre of the fashion district. The building is also home to the Fashion Department of the Royal Academy of Fine Arts and Flanders DC. The good relationship between these partners ensures the MoMu is a very dynamic museum, which actively maintains ties with contemporary fashion culture, while also relying on superb historic expertise. Attention: the MoMu is currently closed due to renovation and will reopen in the autumn of 2020. During the renovation, the museum building in Nationalestraat, Antwerp, is closed to the public. The Fashion Museum opened in September 2002. Since then, the MoMu has been presenting two temporary exhibitions every year, always with an exciting scenographic design. The space is completely transformed for every exhibition so you can immerse yourself in the designer’s world or theme. The museum is currently undergoing renovation to reopen in 2020 with a new exhibition space. From then on, you will be able to visit a permanent exhibition about Belgian fashion and the inspiring stories of the Antwerp Six, or learn more about the Fashion Department. In short, the story behind Antwerp fashion and the DNA of Belgian fashion. The MoMu has a unique collection of clothing, accessories and textile, including work by Belgian designers and alumni of the Fashion Department of the Royal Academy of Fine Arts Antwerp. But several names from the contemporary international fashion world are also represented in the collection, which includes over 33,000 items to date. The collection is also the largest and most important collection of contemporary Belgian fashion. The MoMu has developed an extra muros programme until the reopening in 2020. Check the website for more information.